This past week has been unbearably hot. I love living in Australia, and I love Summer, but I do not love humidity. Today was the first day in a few weeks where we had glorious dry heat. It was amazing. 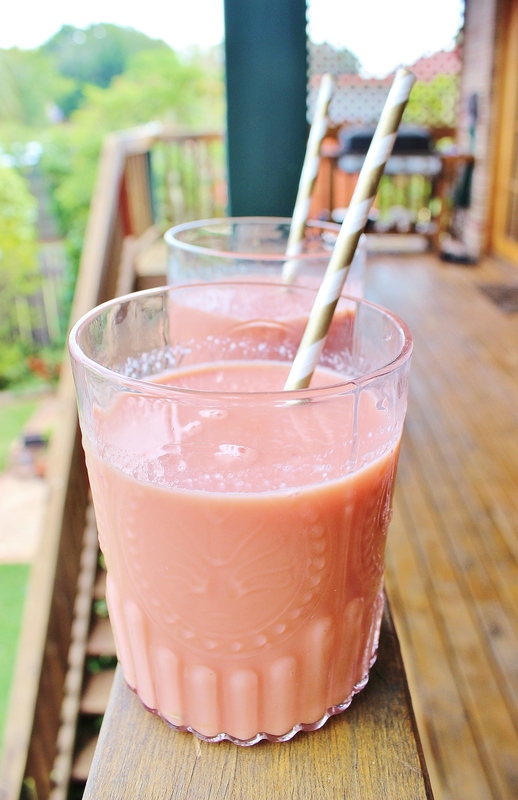 I made these watermelon smoothies early in December and forgot to post them. Today’s heat reminded me that I needed them in my life again. As much as I’m missing delicious baked goods, I find it hard to justify turning on the oven in this heat! Salads, beverages and ice blocks are topping my “to make” list recently. These little smoothies are great for using up over-ripe bananas that you’ve thrown in the fridge. I have a bunch of frozen bananas that need using up – any other suggestions for what I should do with them? You can also use regular, non-frozen bananas. 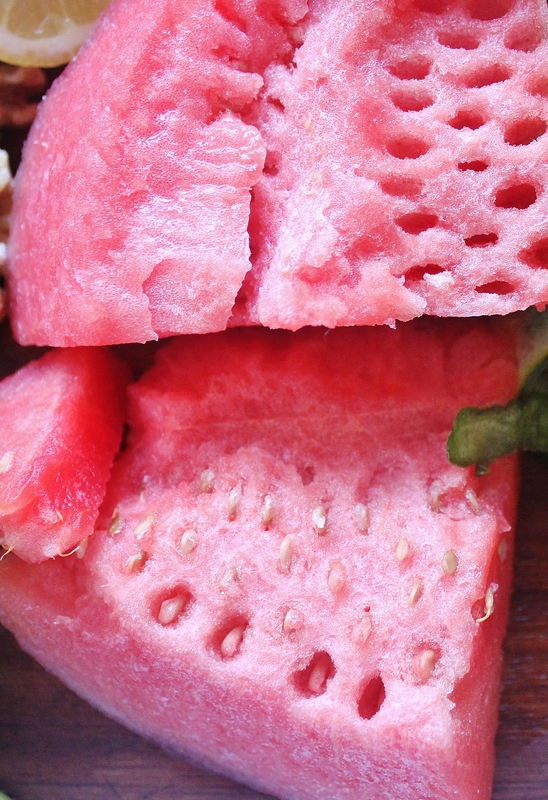 Chop your watermelon, banana , apple and Greek yoghurt into small cubes and pop into the blender. Add in 1-2 teaspoons of honey (or agave for vegan-friendly alternative) or as much as you prefer and blend until smootah. That’s it! 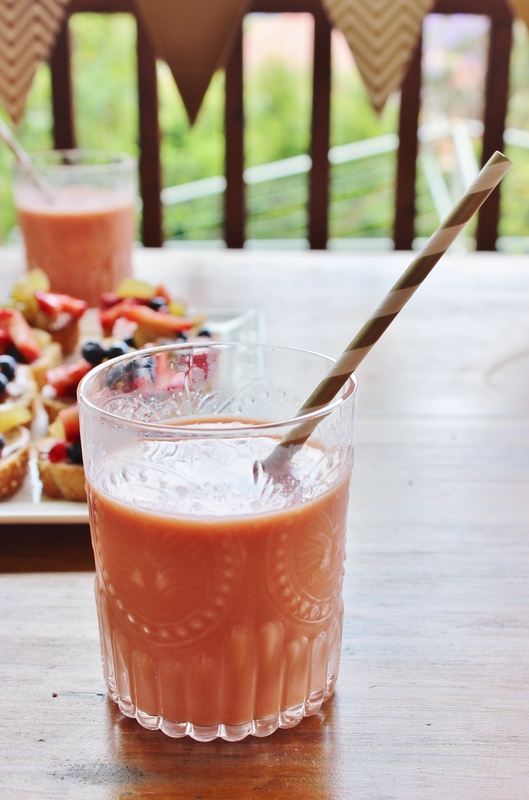 A simple, delectable Summer drink. The smoothie is pictured above with my fruit bruschetta (which is definitely going to be a staple in my diet as these hot days continue) and gold chevron bunting from Illume Designs. Ooh that smoothie looks so good! Thank Sarah 😄 it was quite refreshing!